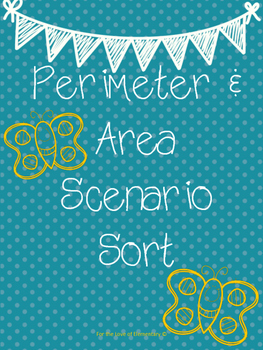 In this freebie, you will find different scenarios to which students will sort as perimeter or area. 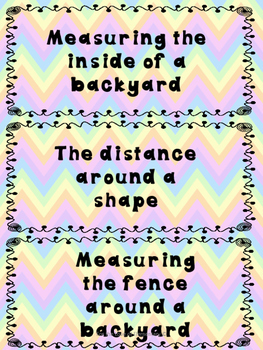 This fun activity is quick and easy for students to use. 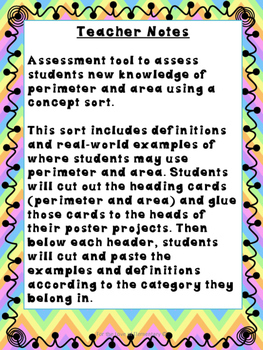 Can be used as a station activity, assessment or individual activity. 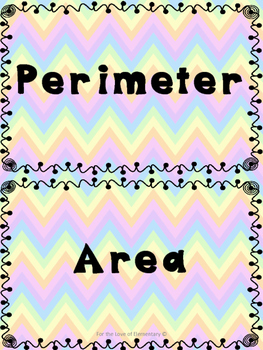 This product works well with Guided Math!